CRIME, GUNS, AND VIDEOTAPE: Black Lives Don’t Matter Especially When Other Blacks Murder Them! 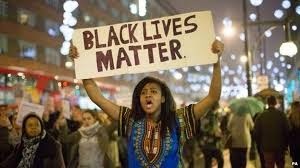 Black Lives Don’t Matter Especially When Other Blacks Murder Them! Baltimore, MD—Saying that, “Black lives matter.” is disingenuous at best. The display of rage and anger every time some black career criminal dies fighting cops during arrest situations is always epic. Such is now the case with that career drug dealer, Freddie Gray who unfortunately died after an arrest by Baltimore police. What goes nearly unnoticed are the thousands of Blacks murdered by other Blacks in this nation. Certainly the media dare not publish the statistics in every major city in America. When I was a Chicago cop I learned about the African-American violent and bankrupt culture first hand. In the Windy City African-Americans were and still are the minority. When it comes to crime however it’s a different story. My duties took me to the Cook County Jail and observe that 90% of the inmates were Black. The same was true for every Chicago violent felony court call. Last was the Cook County Morgue. There was always a never ending sea of Black murder victims. They were shot, cut, strangled, stabbed or simply beaten to death. This was and still is a very routine end of the line for Chicago’s young Black males. The White communities of Chicago don’t generate even remotely the savagery of African-Americans. The Whites that understand the truth of the Black Culture of Violence do what they can to avoid Blacks. They don’t want to hire, live near them or associate with them in anyway. This is in concerns for their very survival. Should Whites dare to express their understandable fear of Blacks they are branded racists. Is that really racism? The media never acknowledges the dangers surrounding African Americans so many White people in nice neighborhoods remain ignorant of the very real peril posed. There is no shortage of African-American apologists with high profiles. They condemn the reaction of Whites that refuse to accept violent Black behavior as some legitimate reaction to being poor or the ancestors of slaves. I say hogwash. Tolerance to ignorance, indifference and misdirected hate has done no favors to the Blacks of this nation. On the contrary it’s made matters worse. Public schools tolerating Ebonics over English and accepting the refusal of their students and their mothers to escape poverty is beyond unacceptable. Notice I said mothers excluding the fathers. Where are the fathers? Far too many African-American men are little more than sperm donors. That separate scandal simply fuels massive poverty and pain for their children. Our tolerance for the modern African-American culture is nothing less than genocide. All American’s need to come together to end this fatal African-American cultural disease. This is not about genetics or skin color. It’s about senseless violence, disrespect for life and the absence of kindness. We may be embarking on a very long and hot summer. Social media is a huge new weapon for violent riot organizers. Violence, division and hatred may bring unprecedented pain to our nation this summer. It’s always the minorities that suffer most from the aftermath. Well stated, and in the background Fred is Dead by Curtis Mayfield played. Excellent post. The first thing we need to do as a nation is to stop encouraging unwed mothers to have more children by paying them additional welfare money for each new child. If you can't afford to have children then don't have them. I am not against providing free birth control, even though I don't think I should have to pay for it, as it's much cheaper than caring for a child. Often I don't agree with you, but this could not be more spot on. Very brave as well to publicly speak the truth. According to the Center for Disease Control the leading cause of death for all Americans is heart disease. However, the leading cause of death for black males ages 15 to 34 is homicide. And the biggest perpetrator of homicides against black males are black males. 95% of all urban-crimes are Blacks victimizing other Blacks. 95% or more of so-called “gun-violence” is committed by young Black males – who also account for the majority of other forms of murders and violence. Police are 6-times more likely to be killed by Black criminals than the other way around. Clearly, America has a “race problem” – predominantly among young Black males who get multiple underage Black girls pregnant, abandon their children, use & sell illegal-drugs, commit thefts and violent-crime, live on welfare, set the example to their children that crime and criminal-violence is OK - then make excuses that White “racism” is responsible for their actions. Meanwhile, professional-racist such as Al Sharpton, encourage riots which burn-down Black homes and employers. Venice, CA Like You’ve Never Seen It!